From Spain has chosen a variety cookbooks with creative and gourmet recipes. Choose from Spanish food cookbooks, paella recipe book, garlic cookbooks and clay pot cooking recipes. 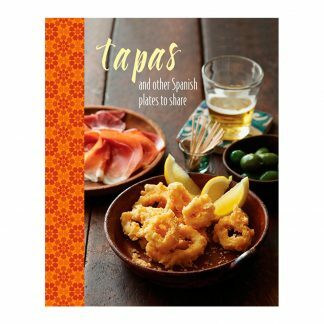 Plus, our tapas and Sangria recipe books are fun to use and make a wonderful addition to our ceramic tapas plates and sangria pitchers. 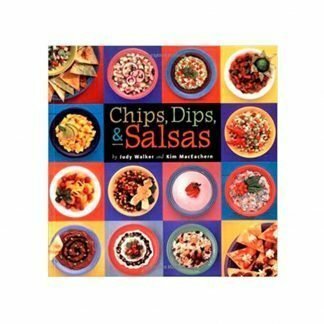 75 easy recipes for making salsas and dips and even fresh chips and nachos. This book is a great addition to any From Spain serving plate and bowl as a chip and dip gift set. 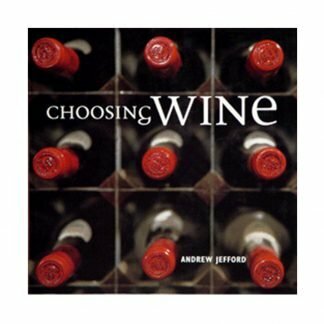 The simple, yet sophisticated book on wine begins with an informative overview of types of wines and different vinyards. Eductional and informative. It is a wonderful guide to buying an appropiate wine for pairing with any meal. 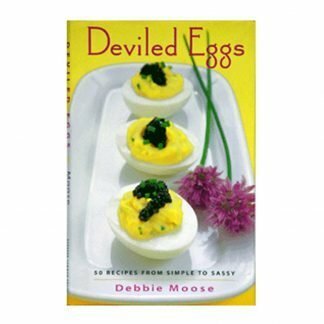 This is for deviled egg lovers everywhere! It’s hard to decide which recipe to make first. In addition to great recipes, the author gives clever advice on the preparation and handling of eggs so the outcome is not only beautiful, but delicious. Jenny Linford’s inspired recipes include delicious ideas for dips, snacks, meat, poultry, and fish plus pastas and breads. Master much-loved classics such as Aioli, Ajo Blanco (almond gazpacho), Spaghetti al Vongole, Garlic and Anchovy Roast Lamb, and Boeuf Bourguignon, then try some new recipes such as Garlic and Pistachio Muffins, Korean Beef Bulgogi, Stir-fried Miso Pork with Wild Garlic, and a Taiwanese Braised Pork Bao (steamed buns). 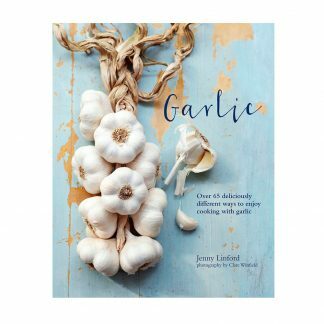 In addition to the recipes, essay features give an insight into various aspect of garlic, from Health and Traditional Medicine to Folklore and from Growing Garlic at Home to Garlic festivals. 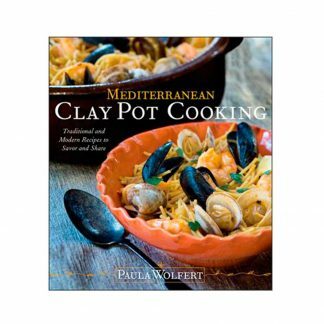 Filled with recipes pefect for preparing in our clay cazuelas, Mediterranean chef Paula Wolfert shows how clay pot cooking transforms fresh ingredients, slowly, richly, lusciously into magnificent meals. Olives, anchovies, and capers are the secret ingredients behind the magical flavors of the Mediterranean. 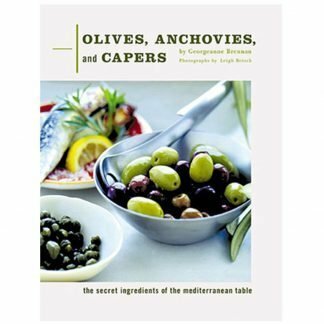 The first part of the book discusses the production and nature of the basic ingredients; olives, anchovies, and capers, followed by three more sections; appetizers and salads, main dishes, and spreads, sauces, and breads. The recipes are simple but full of flavor. 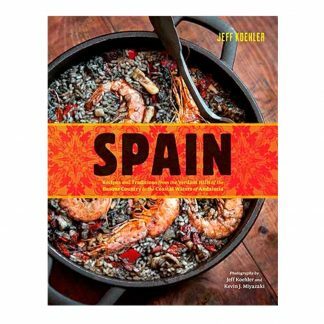 Written by a longtime Barcelona resident and food writer, this comprehensive recipe book is filled with festive paella and rice recipes. Over 100 recipe variations, from the original paella Valenciana to paella with rabbit, wild mushrooms or shellfish. 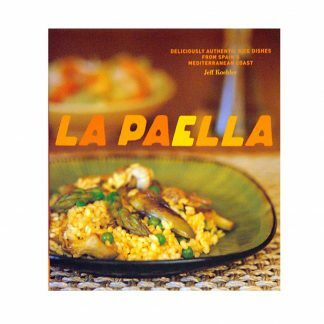 In addition to the vast array of recipes, this book offers techniques for making a delicious paella. Loaded with over 300 one-pot stew recipes that can be made in our clay cazuela cookware. 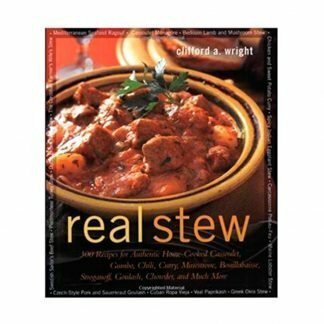 There are hearty bean stews, lamb, beef and fish stews as well as recipes for chili and chowder. Written by cookbook auther, Nicola Graimes who is an award-winning writer specializing in nutritional health, vegetarian cookery, and food for children. From Ryland, Peters & Small Publishers: Take inspiration from countries all around the globe and whip up hearty salads that are nutritious and full of flavor. From Mediterranean recipes to Asian-inspired classics, salads have never been been as popular. 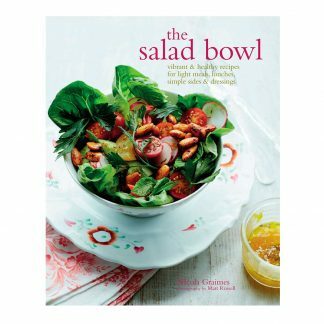 This delightful book showcases beautifully balanced salads, with chapters covering Meat and Poultry, Fish and Shellfish, Dairy, Grains, Beans and Pulses, and Simply Fruits and Vegetables. Salads are ideal for light meals, and there are plenty of ideas here that can be made in advance and transported to the office or school. The book also contains midweek ideas that will please the whole family, as well as some impressive dishes that wouldn’t be out of place at a dinner party. From the inside cover: Perfect for casual entertaining, fruity sangrias and punches are cool, refreshing, and just plain fun to drink. They’re creative, informal, and best of all they’re simple to make, since you can mix a party’s worth in a pitcher and don’t have to worry about getting the proportions exactly. 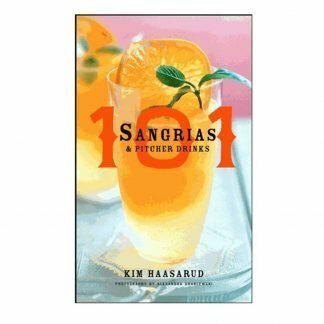 In this beautiful little book, Kim Haasarud, the Liquid Chef, gives you 101 different ways to get the party rolling with sangria or punch. You’ll find recipes for classics such as Spanish Sangria, Singapore Sling, and Spiced Winter Cider, to name just a few. But you’ll also discover lots of delicious contemporary libations that are guaranteed party pleasers, such as White Peach Sangria and Watermelon Yuzu Punch. And for special occasions, try one of Kim’s themed drinks, like a Superbowl Sangria for the big game or a Pink Petal Punch “bridal bowl” for a weddin. So invite some friends, slice some fruit, and pull out a pitcher. 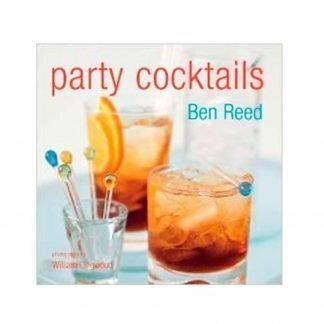 With the sensational choices for sangrias and punches in this book, party-perfect drinks are easier than ever. The culture and food of Spain is told through 200 recipes from classics like shellfish paella, gazpacho, artichoke egg tortilla, flan to delicacies such as pork baked in a salt crust and served with fruit compote or Monkfish Steaks with Saffron. Choose from recipes that cater to Spain´s vast natural resources, such as wild mushrooms, asparagus, and local game. Included with stories about Spain´s vast history, novices and veterans of the Spanish kitchen alike will gain a deeper understanding not only of Spains cuisine but of its culture. A complete glossary includes cooking techniques such as preparing snails, using saffron, and making perfect fish stock, as well as a helpful source list. This book covers all of the tapas and appetizer classics; from popular Patatas Bravas (potatoes in tomato sauce) and Gambas Al Ajillo (garlic shrimp) to deliciously simple Tortilla Española (Spanish omelet) and Piquillos Rellenos (stuffed peppers). Many of the dishes can be made in advance such as the Gazpacho, Albóndigas, Alioli or marinated fish dishes, allowing you to enjoy time with your guests rather than being stuck in the kitchen. 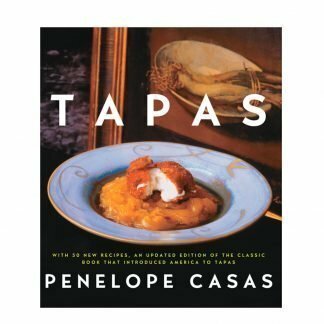 Renowned Spanish cuisine author, Penelope Casas, offers over 300 authentic recipes and full pages of color photographs showing tapas in all their glory. A vast collection of appetizer recipes including seafood in aromatic sauces; little ragouts of meat, sausages, beans; colorful salads and marinades; “tortilla” omelets, zesty combinations on skewers; and empanadas, savory delights encased in pastry.